Im Yoon-ah, or as she’s more famously known, Yoona of SNSD, is the center of the group and sets its style. 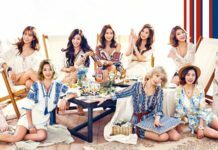 Yoona has been very popular since her trainee days, as the beautiful center of SM’s upcoming girl-group, even being featured in senior groups’ music videos. Her debut as SNSD’s center and visual member didn’t surprise the public, as her slim figure and tall stature are very fitting as the center of a large group. Yoona is also the group’s lead dancer, making her talents shine as she dances to SNSD’s complex choreographies. 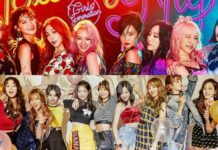 She has experimented with a few different looks throughout her career, but all of them are equally gorgeous and fitting for the center of SNSD. From long, wavy, dark hair to shoulder-length blond hair, she’s tried it all. The thing to remember about Yoona’s evolution of looks is that her ever evolving visuals age like fine wine. This evolution has called into question the integrity of her beauty, whether it comes naturally, or through enhancement surgery. Speculations surfaced online with allegations of eyelid enhancement, jaw reduction, botox fillers, and so much more. Some attribute these changes to the hands of puberty, while others are convinced that it is all done under the knife. 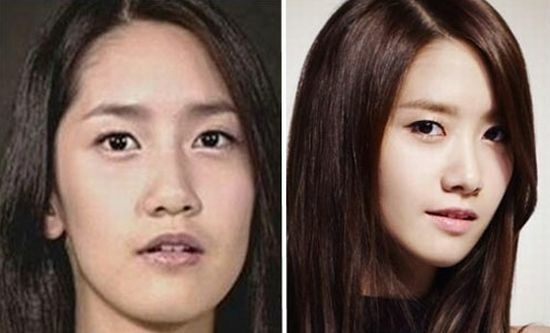 So let’s take a look at Yoona’s visual evolution and plastic surgery claims! One of the procedures Yoona is accused of having done is eyelid surgery. Usually people who have this kind of surgery go from a monolid to a double eyelid. In Yoona’s case, people suspect that she went from a faint double eyelid to a more pronounced double eyelid, following the eye shape of westerners, who usually have a deep set eye socket with deep lids to match. Furthermore, some people have even gone as far to cut the skin at the ends of the eyes to create the illusion of bigger, fuller eyes. The pictures above show the before and after of the supposed eyelid surgery, with the lines that define her eyelids being more pronounced than before. It may seem that Yoona had some sort of monolid before. As seen the before pic, her eyelid crease is very minimal compared to the after picture where the line is clearly seen, even if her eyes are looking downwards. This is typical of people who have gone through the needle for a double eyelid, where the eyelid crease is pronounced, even if creasing is not supposed to happen, as seen above. Nose jobs are another popular procedure in South Korea, due to the desire to have a straight, sloped nose that has a thin bridge. This is usually done through a procedure done around the nostril, to increase height and decrease the nostril volume, to create a slimmer looking nose. Other ways to achieve this is to have fillers right around the nose bridge, so that the nose is naturally elevated all throughout its length. 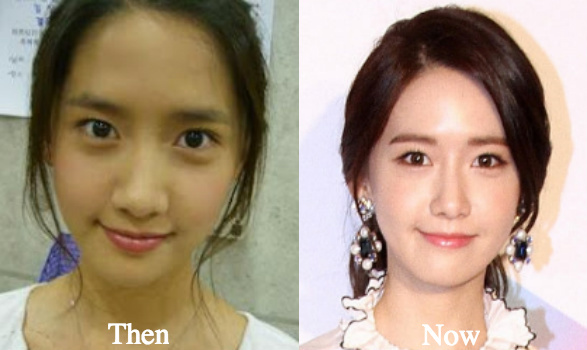 Yoona’s nose in the before and after pictures show such a slight difference, but it is still there nonetheless. Her nose looks slimmer, when it used to be bulbous at the tip, and looks overall improved in its height. It might be due to good contouring, but to others this is a clear sign that she has gone under the knife. In Korea, one of the more desired features is what people call the V-line, or a jaw that is shaped like a V. A Pointed chin and slender, sloped jaw with no edges is desired, as it creates a more feminine look than a harsh jaw does. Yoona has been alleged to have done this procedure to reduce the harsh lines found in her jawline. As seen above, her jaw appeared to be more squared off, rather than the smooth sloping line it has now. It might be the angle of the picture, but it is also clear that her chin is a lot more pointed and is at a more proportionate distance to her mouth. This is why people are wary of her beauty, not knowing whether it is genuine or done through surgery. Although not universally considered as a conventional plastic surgery procedure, non-intrusive fillers such as botox can also be included when talking about plastic surgery. 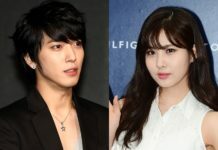 Fillers are traditionally thought of as procedures to tighten the skin and help one appear younger, but in the Korean entertainment industry, it is not rare to see 20-something idols use fillers to fix their profiles in areas such as the nose, chin and forehead. It’s common for Koreans to pay attention their profiles or side view, as much as how they look facing front, this is why this kind of procedure is also popular among youth. As seen above, Yoona seems to have injected her forehead with fillers to even out any weird wrinkles and bumps. Furthermore, the fuller forehead also creates the illusion of smoother, softer features from the side along with the upturned, sloppy nose and pointier chin. 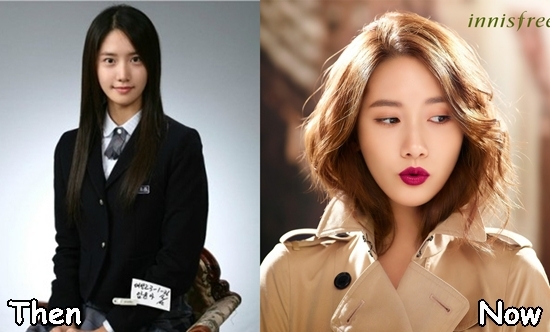 It is also believed that Yoona has done chin fillers, on top of the allegations above.